A series of new technologies created by Vietnamese engineers were on display in Hanoi at the Internet Day 2017 and the celebration of anniversary ceremony marking 20 years of the Internet in Vietnam. 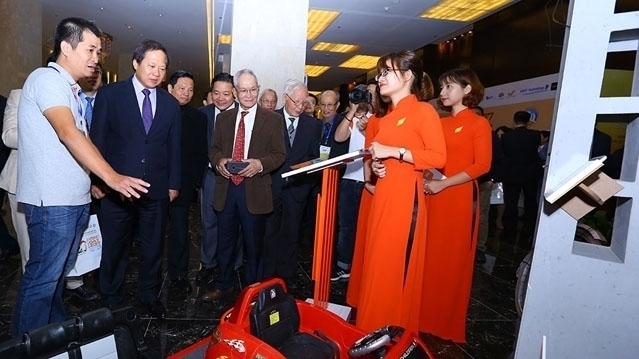 Technologies such as smart lighting, smart parking systems, 24 hour convenience stores, and payment by QR code have given the event the attention of visitors. Also at the ceremony, outstanding individuals and enterprises, which have contributed to the development of the internet in Vietnam in the past 10 years, were honoured. Over the past 20 years, the development of the Internet has contributed to the changing of all aspects of life, contributing significantly to the achievements of many fields such as economics, society, culture, and education. It can be said that the Internet has played a vital role in the economic integration process of Vietnam. 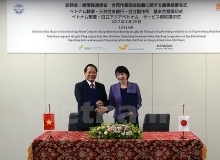 According to a representative from the Vietnam Internet Association, the event was expected to be a special occasion to reflect on the internet’s development in Vietnam, while giving suggestions to further promote the development of the Internet in Vietnam to bring prosperity to the nation in the future.